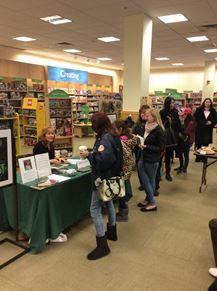 Having had three very successful booksignings since my book, THE GHOST CHRONICLES, came out in mid-November, I thought I would share some tips on how you can make your own signings as successful and stress-free as possible. I have signed at three different venues – the B&B that is the setting for my book, a public library, and a Barnes & Noble – but I did the same things for each and had tremendous results. This post is long, so I’ve broken it down into three parts – PRE-SIGNING, AT-THE-SIGNING, and POST-SIGNING. In this post I’ll be covering PRE-SIGNING, then tomorrow I’ll be covering the other two so be sure to pop check back for my next post. Barnes & Noble…of the 60 books ordered in that day, 55 sold! These tips apply to indie and traditionally published authors alike – if you’re not doing these things personally, then make sure your publisher is. Spread the word to your own social media outlets. This means setting up a Facebook event and inviting your friends, family and readers. If you can spare a little money for promo, it’s even better if you can boost the post in the last four days or so right before the event. It’s usually only a few cents per click to do this, with the added bonus that if nothing else, people will see your book cover and learn a little about your book. You can even target the boost to the local area surrounding the signing. It’s also important to tweet about the #booksigning with a #savethedate early on and then periodic reminders up until the date of the event. Most times, if the venue you’re signing at sees your tweet or post, they will help you out by retweeting and reposting. I focused on these two social media outlets (FB and twitter), but use the ones you are most active on to your full advantage. Instagram, Pinterest, whatever…it’s all good. Post the event on every free online EVENT bulletin board possible for the local area surrounding the signing. There are tons of these out there, with more springing up every day. I have posted my previous events to places like Eventful, TapInto, Patch, and HAR. The great thing was when I posted to these few, others like BookSigningCentral.com, ParkMe.com, WCBSfm101.1 (out of NY) and others picked up the event and posted it as well. Without me doing a thing! And, I suspect these online event calendars are looked at by people who have time on their hands, i.e. people who probably have time for…reading. Post the event on every free online COMMUNITY bulletin board associated with the local newspapers around the event. This includes the big and small papers too – you know, the thin ones that get thrown on your driveway once a week. Those are usually geared towards the most local news and that’s what you want. For example, this isn’t my local newspaper, but try googling Pittsburgh Post Gazette Community Calendar. On the right hand side, midway down the page you will see a little blue box that says, Add an Event. You just click on that, fill out all the information as completely as possible and you’re done! Some of these online sites will be more user friendly than others, but it’s totally worth doing. Some make your register, but that’s not a big deal. You do it once and then you’ll have a username and password for the next time you need to promo an event. Some will have a two or three day delay before your post goes up so start early with posting. The sooner your event goes up, the sooner it can be on people’s radar (and thus, get on their own calendar!) For both the online EVENT and COMMUNITY type calendars, make sure to include tags like literary, books, booksigning, fundraiser (if applicable), or whatever applies. This will help people find your event as well. For an additional $10 or so, some of these sites will also offer for you to boost your event. This means it will display at the top or home page, or something along those lines. Again, if you can spare a few bucks, it might be worth considering. 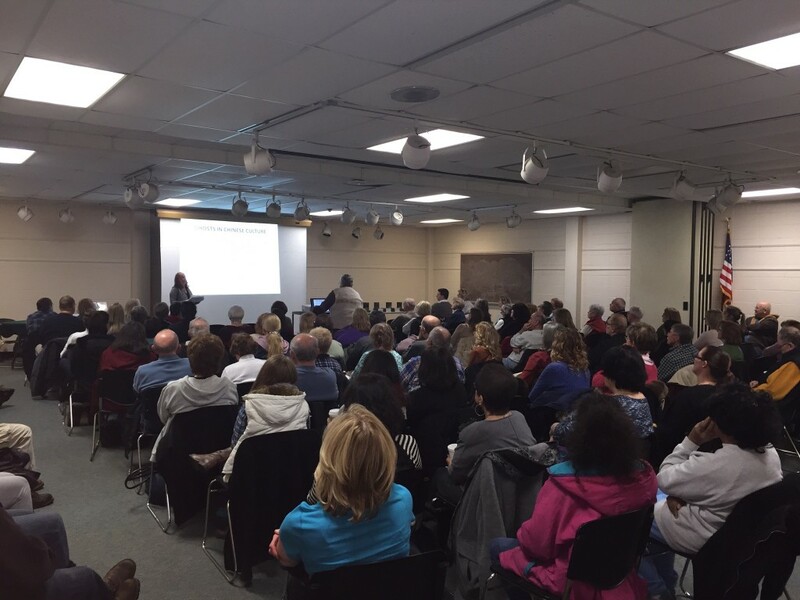 Talk and signing event at Hamilton Library attended by more than 100 people. This is exactly why you need to do all these things I’m mentioning, or make sure your publicity team is doing them – you just don’t know how far something can spread once you’ve put it out there. But spread it will! Of course, you probably know you can pay for ads to run in the newspapers, but this can be extremely costly unless your publisher is willing to foot the bill. And to me, an interesting (and free) story about you and your book by way of a press release might get you better mileage in the long run anyway. Now, just a few other things you need to think about PRE-SIGNING. Have yourself and all your swag ready for your event. This means think about getting that overdue haircut, think about what to wear, get a manicure, nail down directions/route to the venue if you aren’t familiar with it already, and most importantly make sure you have enough swag on hand (especially bookmarks, postcards, pens, etc) since that will have to be ordered and need time to come in (this is true even if your publisher is taking care of this for you). Don’t leave anything to chance! I’ve been at bookfairs where an author’s books failed to show up from their publisher! If you’re doing these things for yourself get them done early, and if your publisher is handling them, make sure they got done! So that’s it for PRE-SIGNING. Tomorrow I’ll be tackling what to bring and what to do AT-THE-SIGNING, and then the followup things which are essential POST-SIGNING. I promise it will be a shorter post (I think). Anyone have any PRE-SIGNING tips I missed? 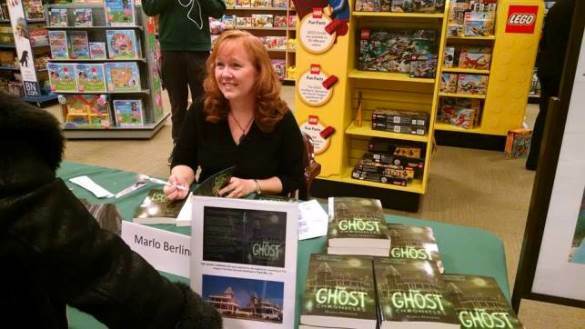 This entry was posted in Uncategorized and tagged authors, Booksignings, events, promotion, The Ghost Chronicles by marlo. Bookmark the permalink.